There are various reasons why one is plagued with the extremely unfashionable yellow stained nails. Health disorders are one reason, since jaundice and other such diseases cause internal damage which in turn affects your nails. Another cause could be smoking, since nicotine causes nails to turn yellow. But women usually face yellow nails due to infinite use of dark colored nail polishes. So once you have been victimized by such a horrendous problem, how do you rectify it? There are several remedies that can help you in this quest of yours. Adding lemon juice on the stained nails can help. What you can do is take a lemon and squeeze out its juice. Apply that juice on your finger nails, and let it stay for a while. After a couple of minutes, buff out the stain. You’ll see a subtle difference. Keep on repeating this for several days, and you’ll see vast improvement in your nails. Using peroxide toothpaste can help you too. Take some peroxide toothpaste on an old toothbrush and rub your nails gently with it. Repeat this for a few days, and voila, you’ll see your perfect nails emerge. Pasteurized milk can be very beneficial as well. 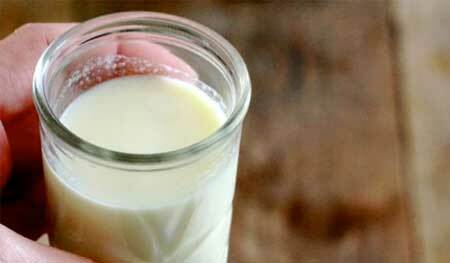 Soaking your nails in a bowl of pasteurized milk will reduce the stains. Wipe them off with a wet towel. Repeat this procedure for 2 weeks, and your nails will become white again. Denture tablets work miracles to remove yellow stains from nails and make them white again. Just soak 2 tablets at a time in a glass of warm water, and when they are completely dissolved, soak your finger nails in the solution. Keep your nails soaked for a couple of minute, and then wipe them off with a towel. Repeat this process for at least 10 days, and you will see a huge difference. Lavender juice can be very beneficial too. Just soak your fingers in its juice for a couple of minutes and then wipe it off with a towel. Continue this for two weeks and you’ll see significant progress. By mixing a tablespoon of Clorox in warm water and applying the mixture on your nails, you can see a huge amount of difference within a couple of days. Simply scrubbing your nails with a terry washcloth can help lighten up the stains as well. Try rubbing it with a toothbrush. Sometimes, simply rubbing a cloth or the soft bristles of toothbrush can help remove the stains as well. Dip a piece of cotton in hydrogen peroxide, and apply on nails. This will lighten up the stains, and in some cases even help in completely removing them. Another solution that has been experienced to work as well, is mixing 1 part bleach with 10 parts water and swabbing it gently on the stained nails. Repeating this procedure every day for a week can result in perfect nails.